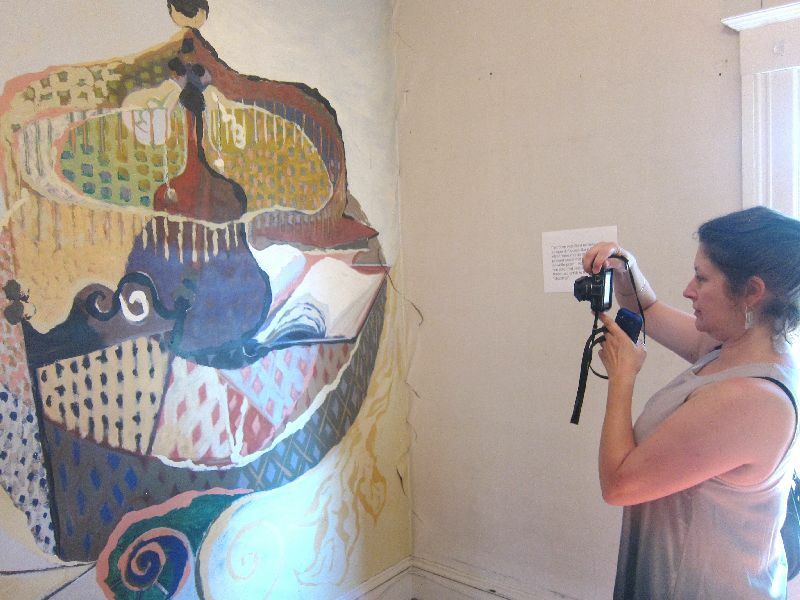 A rare set of murals that the artist Jess painted for his friend, film critic Pauline Kael in 1956, may be preserved in place if efforts by a new group succeed. The newly formed Committee to Preserve the Kael/Basart House and the Jess Murals is seeking support and funding. Basart is the family that owned the house after Kael's tenure. Robert Basart was a composer and professsor. Ann Basart was a music teacher, music librarian, and music publisher. The goal is to obtain an option to buy the house, to buy time while the group becomes an official nonprofit, devises a plan, and begins fundraising. As things develop, Niesar says, the name of the committee will change. 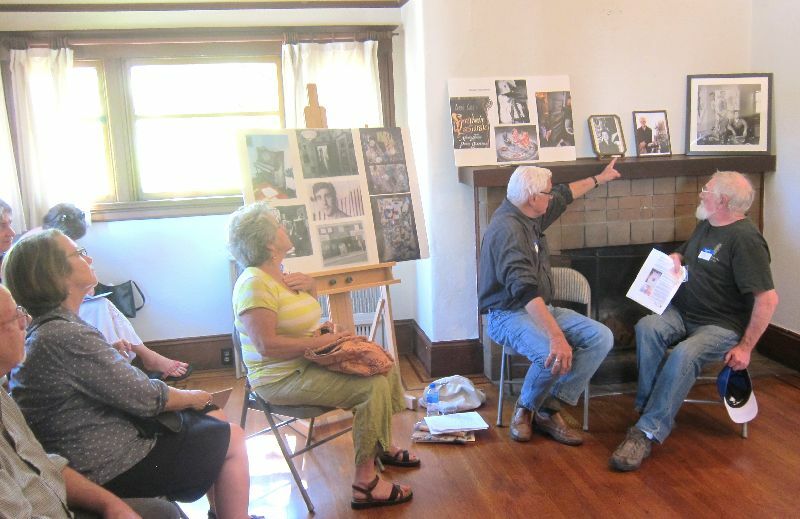 Kael, a legendary critic and operator of Berkeley’s Cinema-Guild Theater, turned the house into a literary and artistic center that attracted such people as Jess and his partner, poet Robert Duncan. Murals of landscapes, fantasy scenes, and decorative devices fill most of the upstairs rooms and the stairway. In several of the rooms, however, they have been painted over in a coat of off-white. Plans call for restoring all the murals. 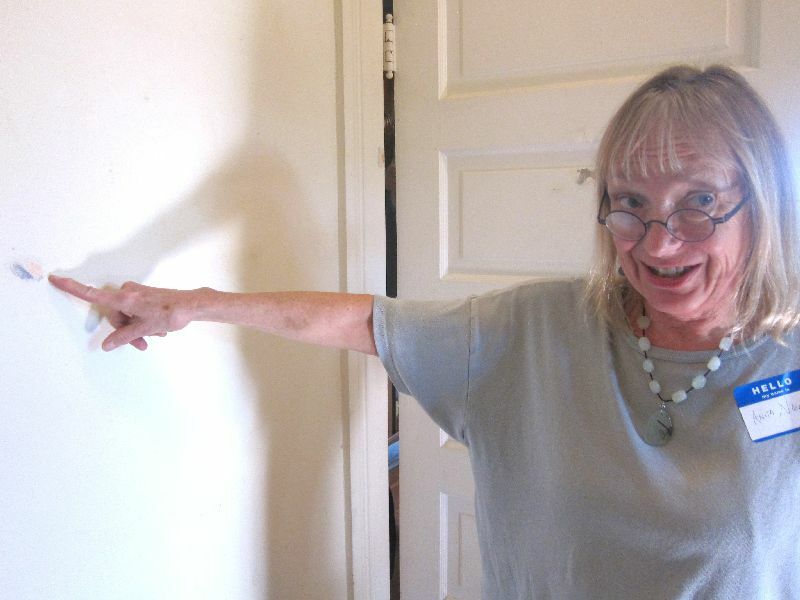 Eichler Network was the first media outlet to report about the murals, in June. Niesar and Christopher Wagstaffe, co-trustee of the Jess Collins Trust, have held several open houses, attracting more than 250 people, including the poet Michael McClure, artist Harry Jacobus, who also painted murals in the house during Kael’s tenure, and Leah Levy, director of the Jay DeFeo Trust. They have also spread the word to such educational and artistic institutions as UC Berkeley, the California College of the Arts and the Napa museum, di Rosa. Niesar said the intent is to find an institution, or perhaps a group of institutions, to operate the house as a cultural and educational center. The well known architectural conservator Molly Lambert did a preliminary assessment to determine “whether the over-painting could be removed to expose the mural underneath and to see if the murals could be removed should that be necessary,” she said. Niesar said Lambert estimated the per room cost to be $30,000 to $50,000, and probably closer to $30,000. “We would like to have these paintings stay in this house,” Niesar said. “The murals could be removed,” Lambert said, “but it would be both damaging and expensive.” They were painted over several layers of wallpaper, she said, in both latex paint and oil, mostly in oil. Lambert would still need to do a full assessment to determine how best to conserve the murals. 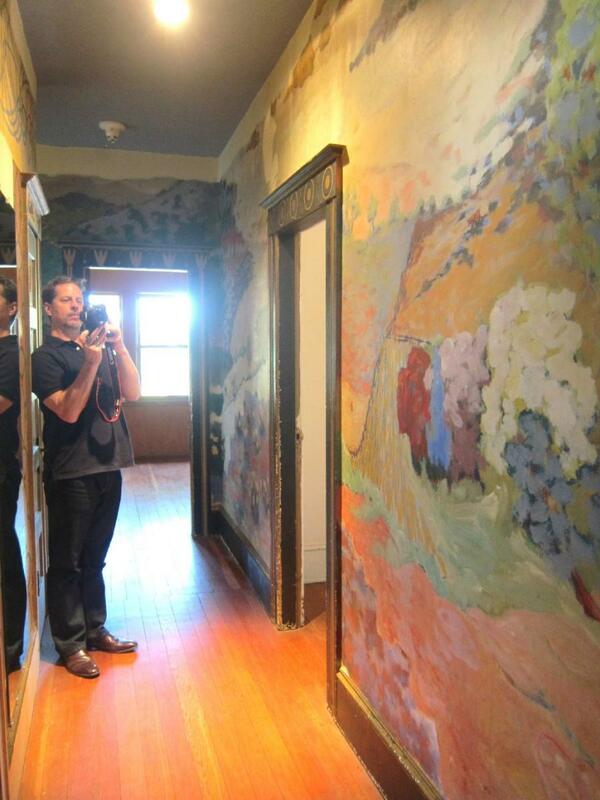 The goal that has been discussed to this point is to conserve the murals, not “restore” them. That means they would not be repainted to look as they did when new. Instead, after determining the proper mix of chemicals and time of application, conservators would use solvents and cotton to carefully remove layers of white paint. Then the condition of the murals will be assessed. Missing section would be filled in “to visually reintegrate the piece,” Lambert said, but not to make the filled sections appear to be from the brush of Jess. “Hopefully there are not large areas that are missing,” she said. Lambert said this is an exciting project. “I’m nervous because we don’t know the status of the building,” she said. Michael Hocking photographs murals by Jess in the upstairs hall. Photo by Dave Weinstein.